So I'm going to show you how to create an open wound! Add some depth by coloring the inside corners of the wound with some black eyeshadow. Also add the black eyeshadow on the outer edges of the scab. Add some blood! I used staged blood as my base, then added some gel blood on top. You can add some on the scab also to make it look realistic. Don't forget some sclera contacts, and you're done! T A L E N T E D! 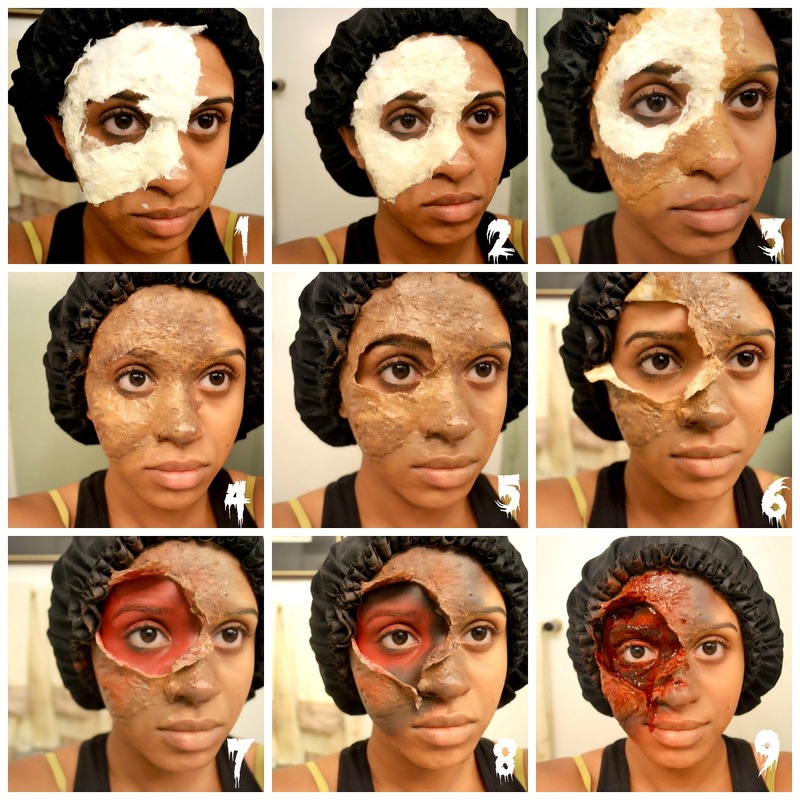 This is crazy cool (and hella scary, lol). You're so talented! Wow, this is really good and awesome! Congrats! You've been nominated for a Liebster Award on my blog!